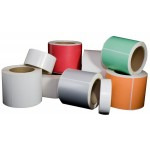 The different uses of barcode label solutions continue to grow and grow. Lumber companies are putting barcode labels on each piece of lumber to track the lumber through the milling process. Medical centers are labeling not only prescription bottles, but also patient information. They improve patient sign-in procedures. Patients carry a barcoded card that they can simply swipe into a scanner for their appointments. We expect to see this growth continue in 2017. The uses are limited only by imagination. With your imagination and our expertise, we can help you grow your business.